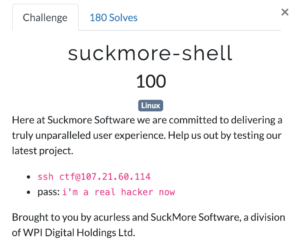 We took part in the WPICTF 2019 and made place 28 in the end. 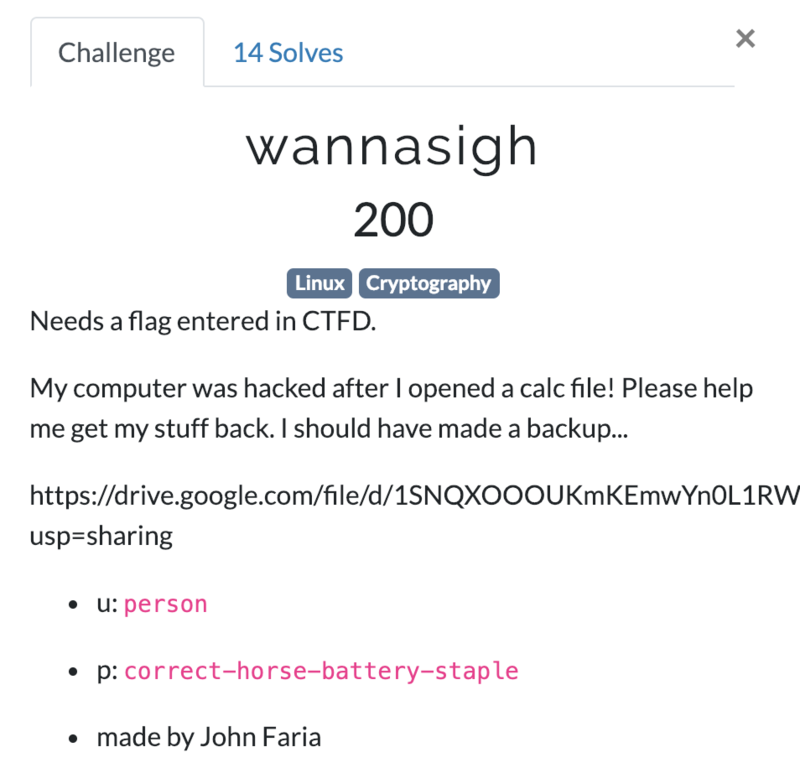 We’ve also solved all 4 Linux challenges, here is a write up for them. 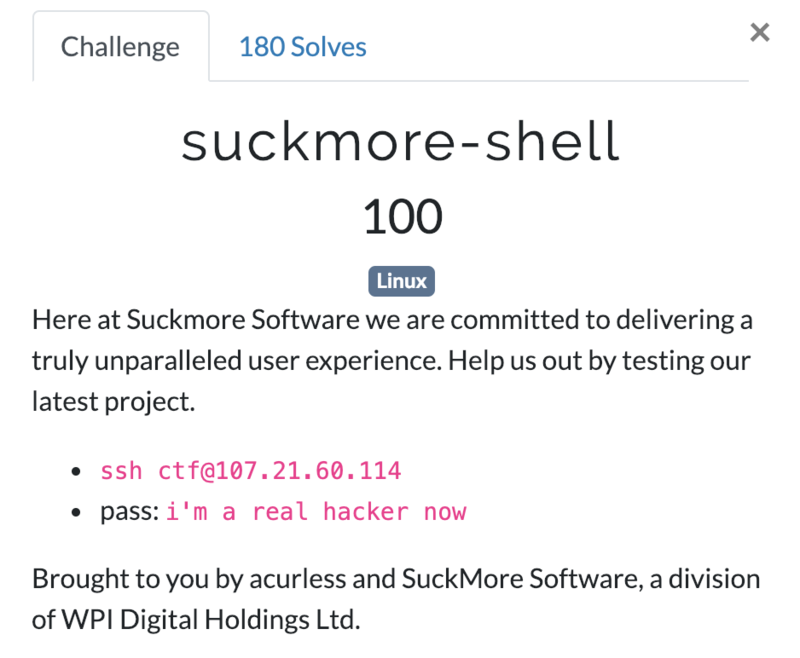 In this challenge we can login via SSH to the provided server and are presented with a non standard shell in which some commands are swapped (ls behaves like sleep, pwd like uname, etc.). 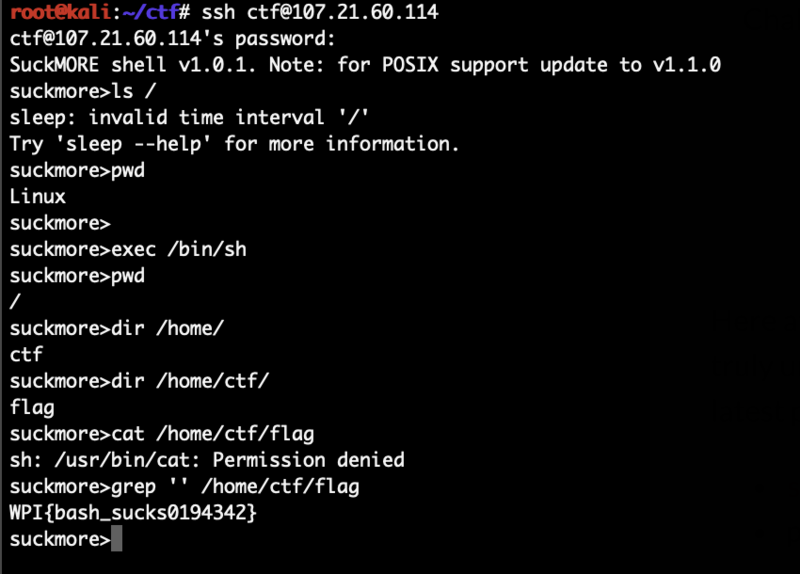 After a bit of trying around we figured out that exec still worked and we can break out of it by running exec /bin/sh. Again we get a shell on the target, this time a normal /bin/sh. After poking around a bit we’ve noticed that /dev/random and /dev/urandom have been replaced on the system. This was an interesting challenge, downloading the linked file we got a 3GB virtual machine. Running it we are presented with an Ubuntu system which only contains an encrypted zip file in our home directory, all other files are gone. However hidden files are still in the home directory including a .mozilla folder. 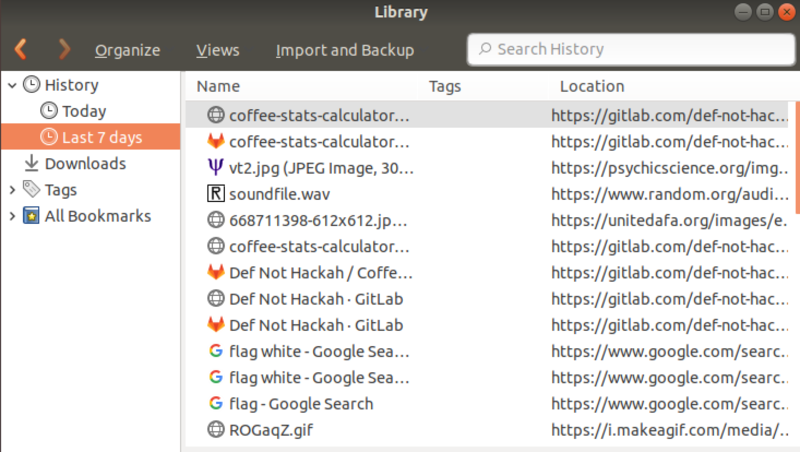 Opening Firefox and checking the history we see that a coffee-stats-calculator.ods file was recently downloaded. The password is based on the time of when that command ran. %s is the normal unix timestamp, %N are nanoseconds (but only 3 digits of those are used). We again get a shell on a system. 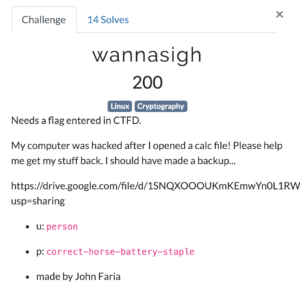 The description hints that someone replaced cron. 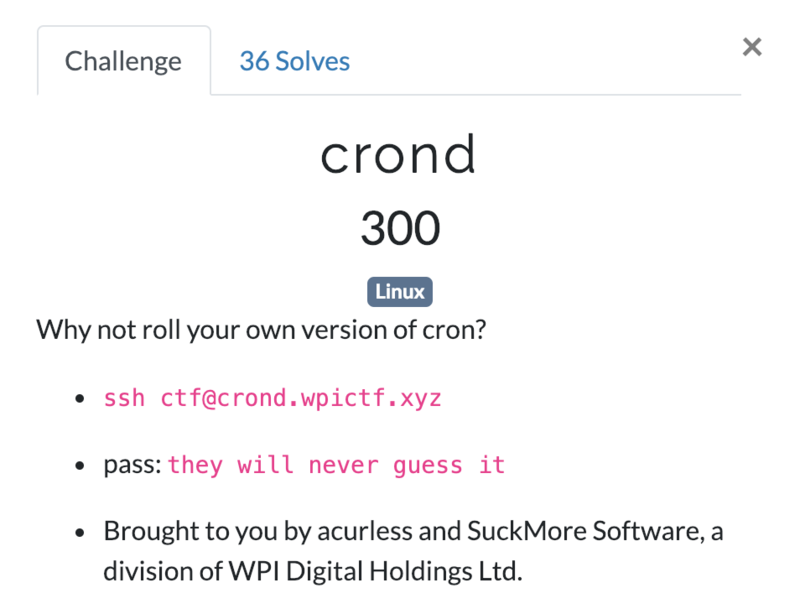 The biggest problem here was to find the new cron, since there was no find or ps on that system. 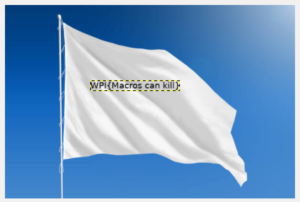 #    of WPI Digital Holdings Ltd.
#    products derived from this software without specific prior written permission. 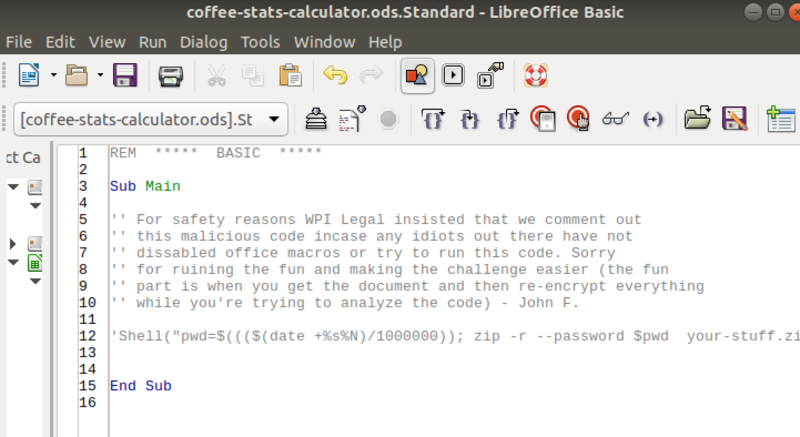 The code is pretty simple, it runs an endless loop with a sleep 1 in it. 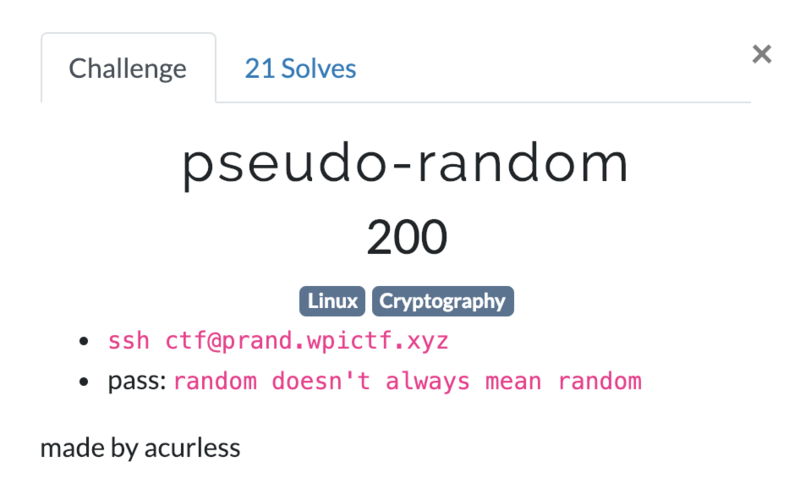 It always stores its current time in /etc/faketimerc. 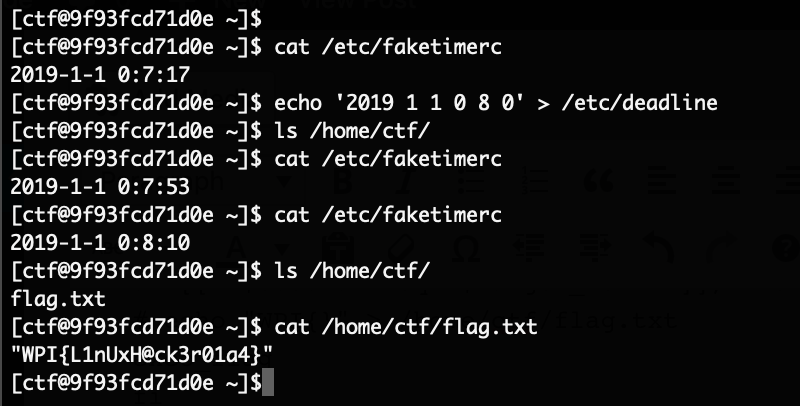 It also always reads from /etc/deadline, and if the current time and the time provided in there are equal, then exec_flag is ran which writes the flag into our home. 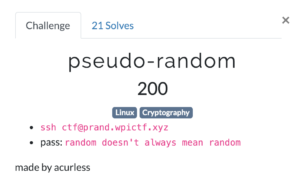 Update: There is a bug in the fakecron implementation. Seconds maps to hours and hours to seconds. We got lucky with our values and didn’t run into that problem though.